Thousands of years ago, an oath was made by the villages surrounding a castle run by the Vampire King, that every five years they would offer 3 maidens to his ancestors as a peace offering in exchange for protection against rogues and other dangerous paranormal species. But what happens when one of the maidens is the new Vampire Prince's mate? DISCLAIMER: I DO NOT OWN ANY OF THE PICTURES IN THIS BOOK, THEY ARE ALL FROM GOOGLE IMAGES. THANKYOU! Chapter 19: Happily Ever After? The vampire king is my mate. Katie Johnson thought she had it all that was until she met Damien drake the king of all vampires. Follow me and see what happens next. Credit for the new title goes to @bookworm21702. So thank her for the awesome cover. What happens if you work in a castle full of vampires? Do you stay alive? Do you almost die? Do you meet the cruelest princess ever? Or make a new friend? Yes. 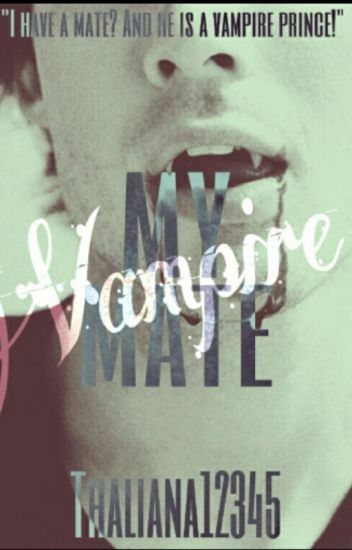 But most importantly, do you fall in love with the prince of vampires and become his mate? Definite yes. Dakota Hale is your average teen age girl. She has brown hair and blue/green eyes. She lives with her Mom, Dad and her brother, Cameron. Grayson Smith has blonde hair and dark green eyes. He looks like any other person would but, he is keeping a secret. He's  a vampire. What happens when Dakota finds out his secret? Sway_102 "Love it so much"
Trishelle_lmao "Update plz I luv this book"
AsheeHarshinee "Please update more chapters!" "You didn't answer my question. Why do you want me to be your bride?" Monica asked damanding an answer. He began to laugh. "Cause. You my dear, hold the key." He said smirking with his fangs showing as he backed out of her face. "The key to what?" Monica asked confused. Silver remembers only one thing about her father, the fact that he gave her up to a slave house. She wasn't sure how long she stayed there, the only thing sticking with her was the cruel treatments. At first she was happy to get out of the place, but when her new master happened to be the newly crowned vampire king she wish to be back at the slave house. This man though gave her a feeling that she had never felt or heard stories about, and it wasn't only fear. She begins to discover new things about herself that had once been hidden away from her, locked deep within her mind. Abby didn't expect her life to be the way it is. To meet Kyle and chane into something unhuman. Marriage and a transformation? What could go wrong? When Laurie Cortez is kidnapped by one of the world's most notorious vampires, she makes a vow to herself: to destroy him. But as he forces his way into her life, one thing is made clear.... For the first time, Laurie has met her match. Will she defeat the vampire? Or will she become unable to resist him? Evil forces lurk everywhere, and this ordeal just might kill her. WARNING: This story is vamp/horror. So if you are of any age and can not stand horror, please do not read it. © 2016 All rights reserved. No part of this literary work may be reproduced or used without written consent from the author. Adilin is a eighteen year old girl with red hair who happens to be an orphan and the future princess. She is being forced to marry a vampire prince named Sylic. Sylic is a handsome young vampire that anyone wishes to have yet Adilin doesn't want to be with him. Will it end with there love story or a unhappy marriage?